I recently had the chance at InterDrone 2017 to speak with Kevin Jones, Yuneec USA, Inc.‘s Territory Manager about the company’s newest drone – the H520. Developed specifically for commercial use, watch my interview above to learn more about the H520 Hexacopter aerial system – perfect for law enforcement, inspection, construction, broadcast applications and a whole lot more! Be sure to visit Yuneec‘s website. 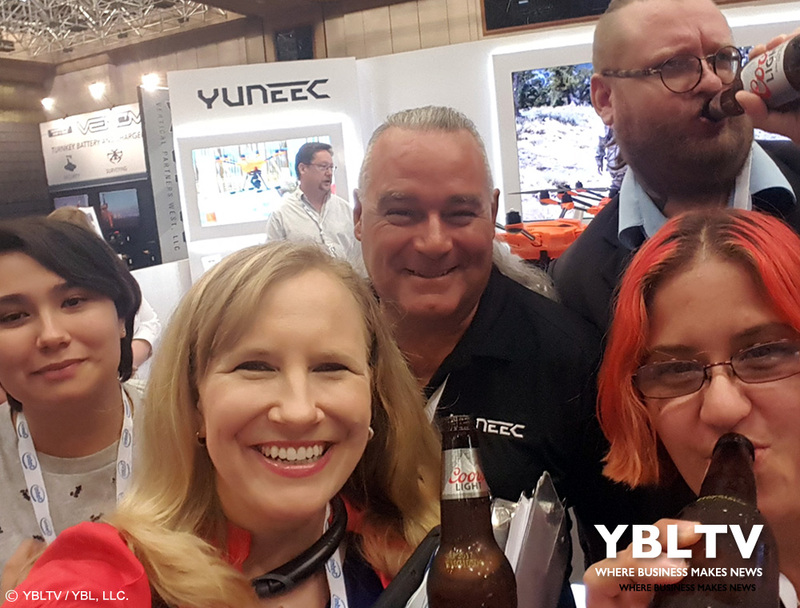 YBLTV Meets Yuneec H520 at InterDrone 2017. YBLTV Writer / Reviewer, Jack X with Yuneec USA, Inc.’s Territory Manager, Kevin Jones at InterDrone 2017. 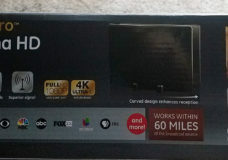 Yuneec USA is responsible for all aspects of Yuneec International’s business in the Americas. Founded in Hong Kong in 1999, Yuneec International is the world leader in electric aviation. With hundreds of patents filed, Yuneec’s core technologies power its manned aircraft as well as its drones and its market leading line of radio controlled aircraft for the hobby market. Yuneec has over 1800 employees located in Hong Kong, Shanghai, Los Angeles and Hamburg. 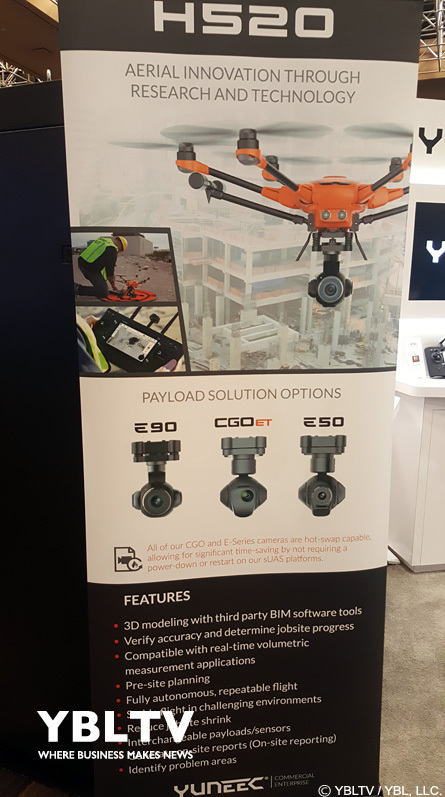 Yuneec International manufactures over 1 million units a year, sold under OEM/ODM brands as well as the Typhoon and Tornado brand of multi-copters. 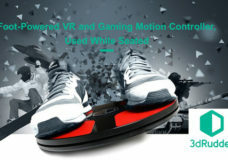 The Company’s achievements include the introduction of the hobby industry’s first “Ready to Fly” radio control electric powered airplane and the design and manufacture of the market leading radio controlled helicopters and micro-copters. In 2014, Yuneec introduced the world’s first ready-to-fly, out-of-the-box drone. The Typhoon Q500 quadcopter featured a 1080p camera (60 FPS), a 3 Axis gimbal and 5.8GHz long distance real-time digital video link. The Typhoon Q500 has the world’s first Smart Transmitter (the “ST-10 series Ground Station”) combining a 2.4GHz radio control transmitter with a 5.8GHz Digital video link along with a built-in Android touch screen, creating an easy-to-fly platform perfect for video capture. In 2015, Yuneec has improved on the Typhoon by adding a 4k camera version, introducing a Steady Grip that turns the Typhoon into an “Air and Ground Imaging Solution”, and creating innovate features like WatchMe, making it even easier to capture the perfect video. In 2016, Yuneec released the Typhoon H which is capable of flight durations of up to 25 minutes while filming with the CGO3+ 4K UHD camera. The Android powered ST16 Ground Station features a 7-inch touchscreen that displays live footage of your flight in HD 720p resolution and enables a wide variety of autonomous flight modes. Tags: H520Yuneec International Co. Ltd.